3.5 Dude family members at the beach. We won’t have those issues this year, though, because the kind crew at PopChips sent me a slew of their chips to sample. When they offered to send me some samples, I figured it would be a few small bags. They sent me three freakin’ cases containing every flavor they make. No joke. Including an entire case of their brand new Tortilla PopChips, which are like regular tortilla chips but come in better flavors and are healthier for you. So I got that going for me, which is nice. Yes, I was stunned to find this outside my door. You’re probably wondering what makes them healthier than “regular” chips while asking yourself if it’s just a gimmick that some marketing whiz came up with. No, it’s true. They aren’t fried or baked, which I just learned are not great for you. Instead they’re popped and contain whole grains, which people tell me are much better for you than half-, quarter- or even zero-grain. And they have half the fat of regular tortilla chips, which apparently is both a) a lot and b) a shock to this Dude who usually eats two baskets on his own at most Mexican restaurants. · Gluten-Free: Which is kind of a big deal these days, though I often ask for a side of gluten dipping sauce for my carbs. · No preservatives, cholesterol or fake colors: I see enough of that stuff around LA, as it is. · Kosher & Vegetarian: And some flavors are even Vegan! Beyond the four Tortilla Chip flavors that PopChips just rolled out (Nacho Cheese, Ranch, Chili Limon and Salsa), the PopChips crew has a ton of other great non-tortilla flavors, including Katy’s Kettle Corn. Which is a reference to being Katy Perry's favorite chip...and you know how picky she can be. Better yet, just enjoy them because they taste good. So this year, when we go to the beach for Father’s Day, each Dude family member will get their own bag of PopChips. And no one will be saddled with Funyuns against their will. To commemorate Father’s Day, or Pop’s Day in this case, the rad PopChips people have a great giveaway for two lucky/hungry reader of this old blog. PopChips is a sponsor of a cool movie series housed in various L.A. locations called Eat See Hear. This series brings the largest outdoor movie screen west of the Mississippi to show some classic flicks like Elf, Stripes & Boogie Nights to watch in full HD picture and audio. And they make it a party with food trucks and live music before the event. But one lucky winner will win 6 passes to the screening of their choice in the PopChips VIP “Fashionably Late” section, which means you don’t have to get there 2 hours early if you don’t want. What, you want more? How about a month’s supply of PopChips to go along with those tickets? But what if you don’t live in LA and can’t get to a screening? 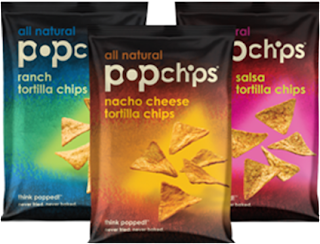 PopChips is offering a month’s supply to one non-L.A. reader as well. I told you they are rad. 1. 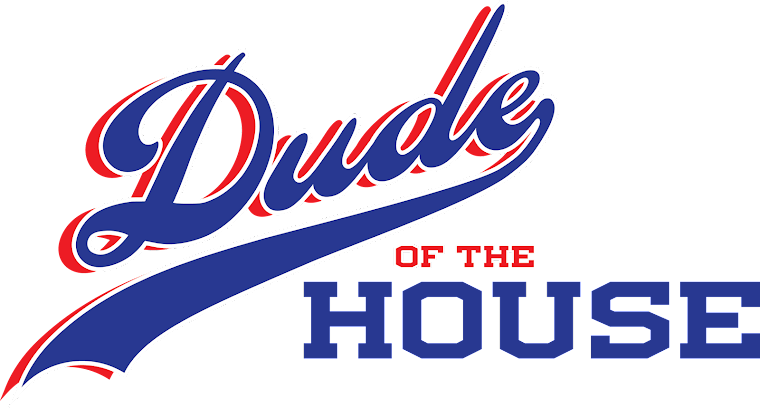 First you must follow @popchipsla and @DudeOfTheHouse on Twitter, if you don’t already. 2. Second, you must leave a comment on this blog post telling me that you want to enter the contest and if you are able to go to a screening or are only in it for the PopChips. NOTE: Please leave your Twitter handle in the comment below so I can reach you if you win! Winners will be chosen at random on Monday, June 17, 2013 Thursday, June 20, 2013 at 12:00pm PST. Winner must reply within 24 hours or else someone else will be the big winner. So stay tuned. DISCLAIMER: PopChips sent me a ridiculous amount of their ridiculously good chips. In exchange, I am writing this post and hosting this giveaway. Seems fair, right? Any opinions expressed in this post are entirely mine, like the fact that my favorite PopChips flavor is Nacho Cheese. Happy pre Fathers Day! I follow you both on twitter as @tannawings and since I am in the MidWest, I am after those CHIPS! No more Funyons for my husband either! The beach sure does sound like a great day, we will be grilling out aandd hopingg for no rain! I am following you and them! I'm in it for the chips only as I live in good ole Nashville TN! Oh yum, I'm in!! I can't go to the screenings, but I followed @popchips on twitter and I already follow you. @snapsandbits loves popchips!!! Will I have to claim my winnings on my taxes? Awesome giveaway! I'd love to go to one of the movie screenings. My sis and her hubs live in LA. Maybe I could hook them up? I'll keep the PopChips for myself. Following all and I'm in it for the chips. Having said that, I have a couple pals in LA and would love to 'gift' it to them if its transferable. 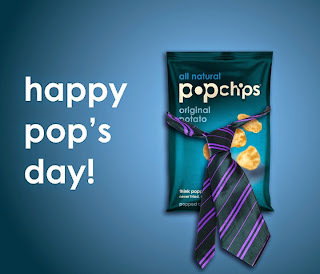 Just saw your contest over on Bloggertunities - LOVE Popchips and would love to win. Unfortunately, we're not in LA, so I can't enter for the VIP passes (although that sounds really cool too!). Yo! Don't know if Canadians are eligible. Being a Montrealer, I can't go to the screening, but I would looooove the chips! As a Long Beach dad of two kids 3.3 and 4 months, I'm always looking for an excuse to take Wifey out for a good time. If there isn't compelling enough we're also constantly to eat healthy rather than convenience foods. The popchips are certainly convenient and decidedly healthier than a lot of other snack options out there. Cheap home improvement loan is especially designed for approving loan at cheaper interest rate. Usually it is my homepage taking a security that the lender will approve a cheaper rate of interest with some other condition also kept in mind. Go through the article for the details.